Buying a home is a big decision, but with the right advice and assistance the process needn’t be overly drawn out or complicated. There are seven major steps when buying a home, and your Bond Choice consultant will help you through each and every one! It’s best to pre-qualify for a home loan so that you know how much you can afford before you start house-hunting. Being pre-qualified by Bond Choice means you are treated as a cash buyer, so that when it comes to making an offer you’re in a strong negotiating position. 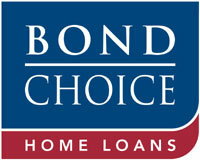 A Bond Choice consultant will assist you in pre-qualifying for a home loan from a major financial institution. The costs of buying a home are approximately 8% of the value of the property (excluding the deposit). Your Bond Choice consultant will work these out in detail for you and discuss ways to bring these initial costs down. Finding your new home is probably the most exciting part of the whole process. Do as much research as you can, search the Internet and read the property news before you begin looking. Contact your nearest bond choice consultant, they’ll give you the benefit of their local expertise to help narrow your search and will be able to put you in contact with the best estate agents in your area. The offer to purchase is the first legally binding document you will sign so make sure you check the details carefully. We suggest that your Bond Choice consultant helps you with this important document – after all, we represent you, the buyer. Once your offer has been accepted, your Bond Choice consultant will help you with the application process, detailing the home loan options available and the type of loan that best suits your needs. They will then negotiate with major lending institutions on your behalf and get back to you with a list of home loan options you can choose from. The transferring attorney will be appointed by the seller and will be responsible for transferring the property into your name. A bond attorney will be appointed by the lending bank to register the mortgage bond in your name. Documents will need to be signed by both parties and you will need to have your transfer and other costs ready when necessary. The transfer process can, in some cases, take up to three months and is often only complete after you move in. If so, you will have to pay the seller occupational rent. Your Bond Choice advisor will provide you with regular updates on the transfer process and advise you when costs are payable so that your transfer proceeds as quickly as possible. Plan your move carefully to avoid logistical problems on the day. Remember to budget for costs like removals, occupational rent, and electricity and water deposits. A person buys at least two to three properties in a lifetime. There are many steps and legal requirements, any of which may change between purchases. Your Bond Choice consultant is bank trained and, with the latest information, will always give you the best advice.